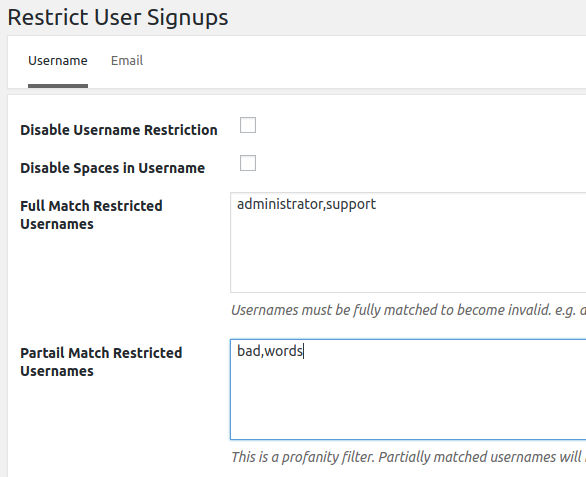 Restrict User Signups will let you restrict usernames and emails or even email domains to prevent spam and offensive usernames. Can restrict registration only to a list of specific domain names? I’m sorry, but currently we don’t have a similar option.